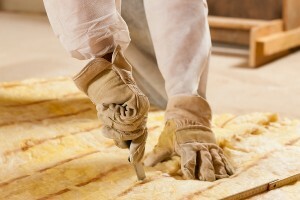 If the attic insulation in your San Antonio, TX, home is insufficient to keep your residence comfortable, you should contact the insulation experts at 31-W Insulation. We understand the importance of having adequate insulation to keep your home cool in the summer and warm in the winter, and we’ve provided homeowners with superior insulation services since 1972. Our highly trained experts will come to your home and, taking into consideration the structure of your home, your budget, and your desired level of energy efficiency, we will present you with suitable insulation options. You can rest assured that choosing products from any of these manufacturers will provide you with years of energy efficiency and comfort. Regardless of the type of attic insulation you choose – fiberglass batts or rolls, polyurethane foam, or blown-in cellulose, you can be confident that your home will be more comfortable, regardless of the temperature outside. For more information about the benefits of installing new attic insulation in your home and to learn more about the numerous exceptional products we offer, contact 31-W Insulation today. We will be happy to answer your questions and tell you more about the exceptional installation services that we offer homeowners in San Antonio, Texas, and surrounding areas.